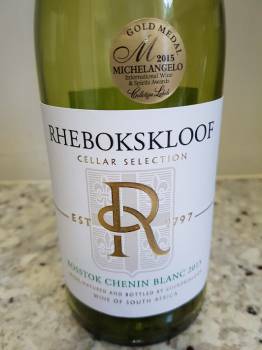 How much to expect from unwooded Chenin Blanc? The Cellar Selection Bosstok 2015 from Rhebokskloof in Paarl comes from not particularly old vineyards [I’ve subsequently been informed that grapes were from two blocks, one 19 years old and the other 28] and features pretty conventional winemaking, fermentation occurring via inoculation in tank but I think it’s terrific. On the nose, flowers and dried herbs before citrus and white plus some leesy (“wet wool”) complexity. The palate shows wonderfully pure fruit, extra-fresh acidity and a pithy, almost bitter finish. It’s a distinctive take on Chenin, one which I feel should be encouraged. Price: R66 a bottle. Next articleWho’s making SA’s best wine and how much should you spend for it?